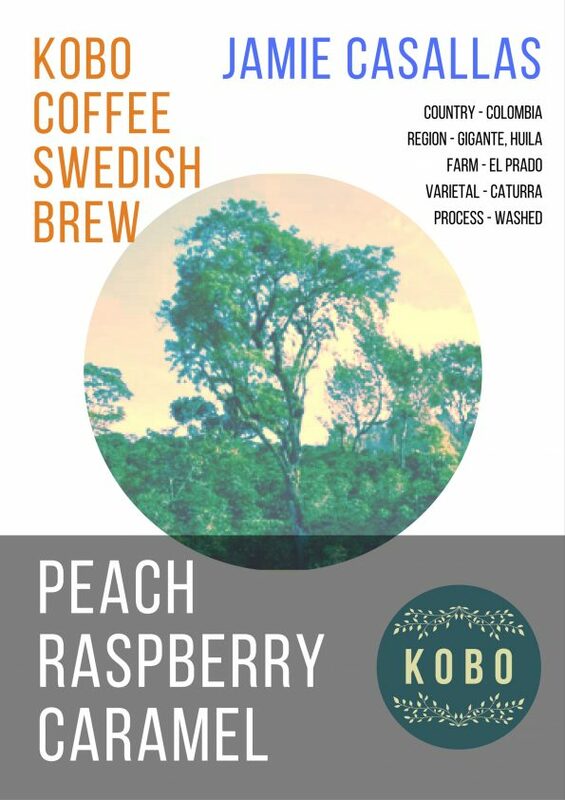 We brew it in Swedish batch filter style, with a focus on a complex, rich body. These Caturra beans comes from Jaime Casallas’ farm El Prado, which is located in Huila, Colombia. El Prado translates to “The Meadow” and the farm is situated at 1850 masl. Jaime’s 4 hectares of land is predominately planted with the varietal Caturra. These lovely bright flavours will light up your day!